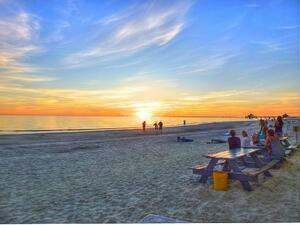 Florida is world known for some of the best beaches anywhere and the gulf coast offers visitors a plethora of choices! 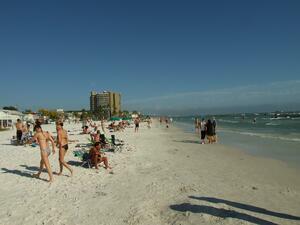 Florida boasts 663 miles of beaches with 1197 miles of coast line. 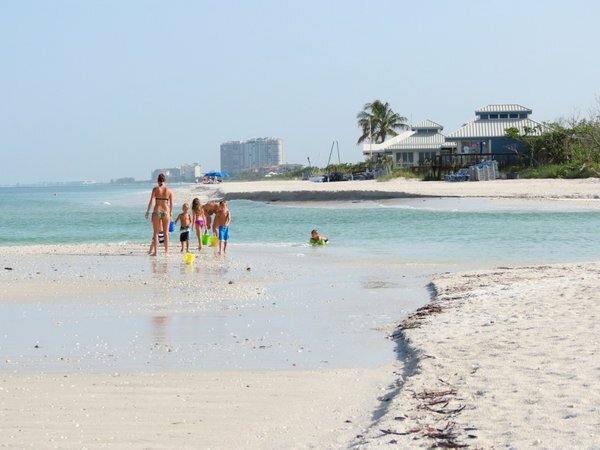 For those planning a Florida holiday we have created a list of some of our favorite beaches to help you choose your destination. Southwest Florida is home and vacation preference of celebrities, authors, musicians, athletes, inventors, presidents and more both past and present. Friends Thomas Edison and Henry Ford were well known in Fort Myers while Ernest Hemingway, Jimmy Buffet, Harry Truman, Judge Judy, Judy Blume, Kelly McGillis, Kenny Chesney, Robert Frost, Bob Seger, Mike Ditka, Larry Bird, Donna Summer, Robin Cook, Willard Scott, Steve Martin, Stephen King, Janet Evanovich, Cal Ripkin, Tim Dorsey, Shania Twain and Randy Wayne White are just a few of the more well known who have homes or find retreat during times of leisure in Naples, Sanibel, Key West, Pine Island, Port Charlotte and more! Settled by the Caloosa’s over 2000 years ago. The island has seen many changes over the years. 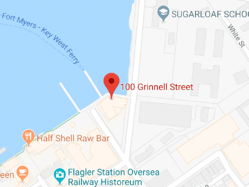 The discovery of Florida’s “Pink Gold” in the 1940’s and 50’s gave the island the economic boost it needed to change the dynamics of the area in many ways. If you choose Fort Myers Beach as your vacation destination you will want to be sure to try the amazing succulent Florida gulf pink shrimp. Walk the nature trails at Bowdich Point, enjoy the entertainment at many local gulf front restaurants and bars and for the adventurous, try out the abundance of water sport options! 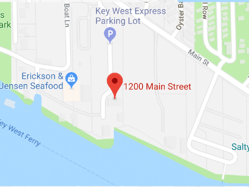 Fort Myers Beach is among the best fishing destinations, sunbather’s choice place to bask in the glorious sunshine, sunrise and sunset photo opportunities, decadent dining and nightlife options….and peppered with resorts for pampering your every whim! Did we mention shopping? 8,200 feet of beach located in Bonita Springs have sand dunes which support the growth of sea oats, providing nesting sites for sea turtles during the summer months. Vanderbilt Beach located in lovely Naples Florida is known for its subtropical vegetation, wildlife, morning bird watching, and shelling. The beach offers a concession and plenty of upscale resorts, shopping and dining nearby. The beach itself also has sand the perfect consistency for building sandcastles! Lovers Key State Park on the southern end of Fort Myers Beach has it all, including a feeling of being natural and untouched! 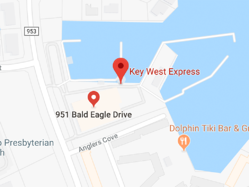 When you cross the Sanibel Causeway, gulls, pelicans and terns just might herald your arrival - flying alongside your car, and you could possibly be greeted by the sight of playful dolphins! Mother nature has created a masterpiece of perfect soft sand, glorious gulf breezes and spectacular natural beauty. The famous Sanibel Lighthouse beckons you to the shell encrusted beaches which have given Sanibel the reputation as the shelling capital of the world with quite possibly the best year round weather and most breathtaking sunsets…. and for the VERY lucky perhaps the chance to witness a “Green Flash”. Palm Tree’s, Majestic Pines and mile after mile of pure natural coastline ….. The geographic shape of the island creates an ideal habitat for the collection and breeding of some of the world’s most exotic bounty of seashell’s. Visitors enjoy the Bailey-Matthews Shell Museum which features more than 30 exhibits featuring mollusks from around the world. The museum is devoted to shells in art and history, shell habitat, rare specimens, fossil shells, and more. 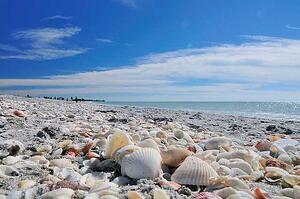 Sanibel/Captiva is a barrier island sanctuary where over 67 percent of the lands on the island are protected. The J.N. 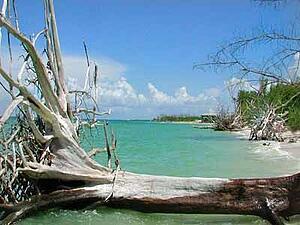 "Ding" Darling National Wildlife Refuge is second only to beaches as the island's top attraction. For other great things to do in SouthWest Florida, check these out!